The Facts: Jamie McGuire, a New York Times bestselling author with a large social media following, recently shared why she does not consent to any type of mandatory vaccination initiatives. She received both support and backlash. Reflect On: Why are people with big followings who oppose vaccinations and mandatory vaccine initiatives afraid to share their opinions? Why are vaccine awareness groups always attacked with ridicule and character assassination instead of with rebuttals? We are proud of Jamie for saying what she stated, and all of her points are extremely valid. This isn’t an ‘anti-vax’ post, but rather a post about information regarding vaccines. Using terms like ‘anti-vax’ and ‘pro-vax is really counterproductive, as both sides are concerned about the same thing, the safety of children and adults. Information that suggests vaccines need to be looked at deeper and raise concerns about them are not ‘anti-vax,’ it’s simply just important information. The mainstream likes to use these labels to pit two sides against each-other in a non peaceful way. Dr. Mikovits wrote a detailed article for Robert F. Kennedy Jr’s “Children’s Health Defense” organization, going into more detail about the vaccine/retrovirus issue and the information stated above. You can read that entire article HERE. You can also watch a short video clip of her explaining what happened to her as a result of all these findings HERE. This is just one example, as there have been a multitude of other studies published outlining the concerns of retrovirus within vaccines. 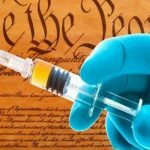 Let’s not forget about The National Childhood Vaccine Injury Act (NCVIA) that was introduced in 1986 stipulated that vaccine manufacturers cannot be held liable for injuries or deaths that occur from the use of their vaccines, which are recommended to every child in America by the Centers for Disease Control and Prevention. The National Vaccine Injury Compensation Program (NVICP) or “vaccine court” created with this Act is not a court at all, but rather a consumer-funded government claims program that uses special masters, or employees of Health and Human Services (HHS), rather than judges to make decisions on compensating victims.